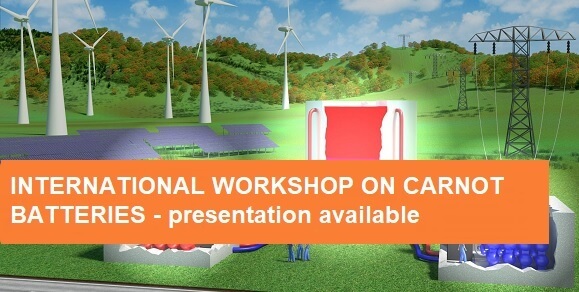 The project concerns the development of an innovative energy management and storage system based on power-to-heat-to-power concept to utilise the excess of renewable generation, avoid curtailment of renewables and increase flexibility of the power grid, taking advantage of the synergies between electric and thermal networks. The innovative system proposed in the CHESTER project adds an additional link to the current energy storage solutions and the way the energy related challenges are faced at present, which are currently considered only from one perspective, either electric or thermal. Achieving this goal will require a fundamental transformation of Europe’s energy system, and for this, ground breaking ideas and solutions, such as the CHEST system, are required. The European dimension ensures further technical and commercial replicability and scalability of the results and findings. 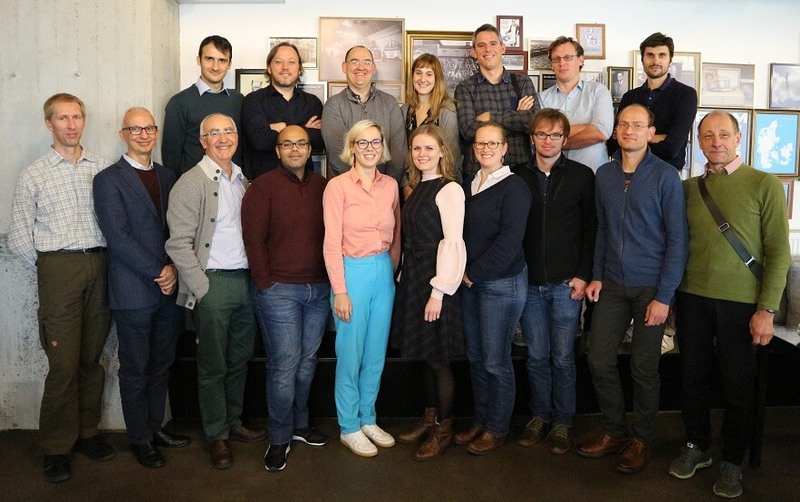 Additionally, most of the participants, especially the partners in charge of the development of individual technologies (TECNALIA, DLR, ULSTER, UPV, UGENT, ECT), operate at international level, cooperating very closely with the main industrial manufacturers that are at the forefront of research and innovation in the respective fields, which ensures the implementation of required follow-up activities at industrial level and natural commercial deployment and exploitation of the results at European and global level. The proposed concept combines various RES which deliver either heat or electricity. Depending on the gap between the available energy and the demand, the system delivers either electricity or thermal energy or a combination of these energy forms. This approach is expected to maximize the utilization of the installed renewable energy capacity thus minimizing the capital costs. 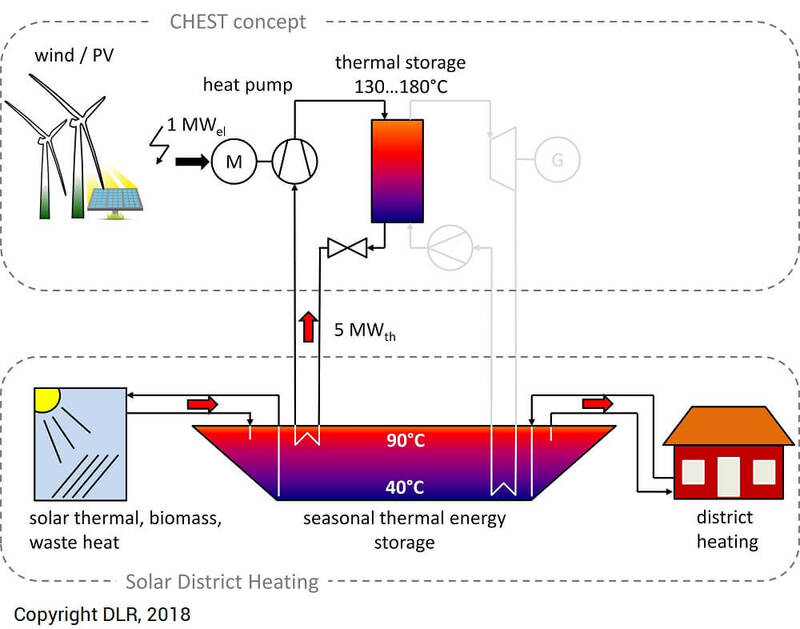 CHEST system may comprise the most efficient alternative from the point of view of the use of energy resources, while providing benefits not only to direct end users in the industrial park but overall to the energy system. The proposed concept will help maximize the utilization of various RES (both electrical and thermal). Considering the interactions of both energy forms efficiently, it will allow to minimize the total capacity of installed RES required to enable EU energy security, the dependence of imported fossil fuels can be reduced with minimum cost and resources. 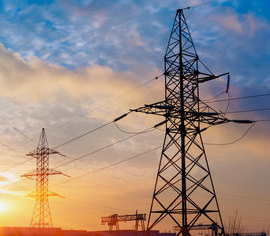 In contrast to pure electric storage systems, CHEST has the added value that together to renewable energies in the grid, it helps the deployment of renewable thermal energy sources. By increasing the share of RES in heating and cooling some additional 65 Mtoe could be produced from RHC, saving the EU as much as 49.8 billion EUR in avoided costs of imported fuels. Having in mind the high potential of the CHEST concept to achieve the energy challenges, the CHESTER project will highly contribute to strengthen the European industrial technology base, thereby creating growth and jobs in Europe in a market as relevant as energy storage and management. The development of the CHEST system brings at the same time a parallel progress on specific technologies and contribution to other applications of high interest and increasing demand. Ground breaking advances on existing technologies such as heat pumps, TES and ORCs, enlarge the impact of the CHESTER project to other potential sectors and fields, energy efficiency in industry and electricity generation from waste or renewable heat for instance. A sustained political landscape and real policy commitment are needed to actually nurture the renewable energy sector and to allow achieving the ambitious Energy and Climate targets set for 2030 and beyond. Support in European RTDi funding programmes and various energy related initiatives are significant driving factors, but an effort is still needed so that the innovative promising solutions that are still under R&D can be developed and brought to the market.